A spectacular trip to discover Ninh Binh with a boat trip to visit three enormous caves and view local fisher folk and explore the village along the river. 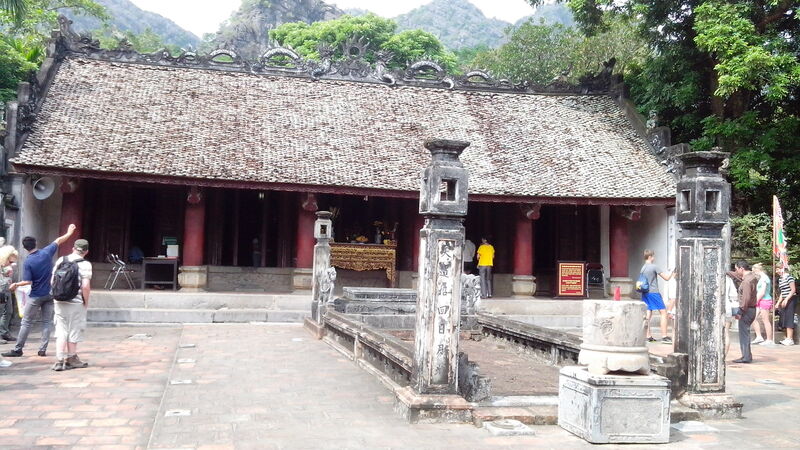 Another exciting activity the visit to Hoa Lu, an ancient Capital of Vietnam (968 – 1009) and the temples of the Dinh & Le Dynasty. This trip surely brings you unforgettable travel experience. Depart the hotel this morning at 8.30 for the 2 and half-hour drive through rural northern Vietnam to the site of Vietnam’s first capital, Hoa Lu. Visit the temples dedicated to Emperor Dinh Tien Hoang of the Dinh Dynasty (968-80), and Emperor Le Dai Hanh of the Le Dynasty (980-1009). The ancient Hoa Lu Citadel (most of which has since been destroyed) once covered an area of three square kilometers. After lunch board your private sampan. 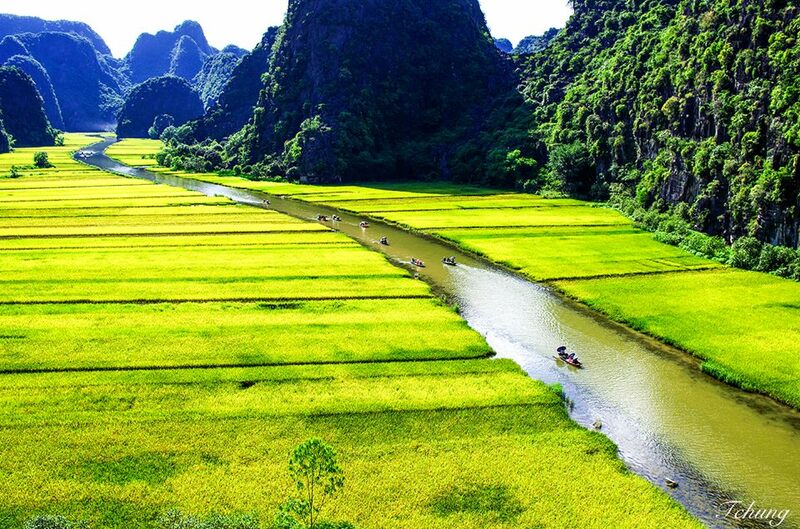 As the boat gently slices through the water, notice the enormous limestone karsts jutting out from the green rice fields giving rise to other name, ‘Halong on Land’. Tam Coc are three limestone caves stretching along Ngo Dong River. The boat trip is a nice journey along the river with peaceful scenery of Limestone Mountains, rice paddy and the site of some temples along the way from Hang Ca (first cave) to Hang Hai (second cave) and Hang Ba (third cave). Should you feel adventurous climb up to Bich Dong Pagoda on nearby Ngu Nhac Mountain, dating to 1428 and comprising three structures: Ha, Trung, and Thuong Pagodas, in ascending order before returning to Hanoi in the late afternoon. Tour price: $85 US per person for group of 2 people.